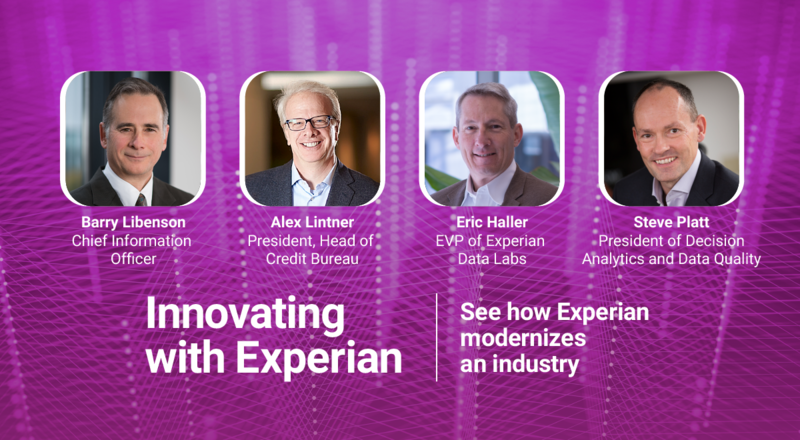 Experian unlocks the power of data to create opportunities for consumers, businesses and society. During life’s big moments – from buying a home or car, to sending a child to college, to growing a business exponentially by connecting it with new customers – we empower consumers and our clients to manage their data with confidence so they can maximize every opportunity. We gather, analyse and process data in ways others can’t. We help individuals take financial control and access financial services, businesses make smarter decision and thrive, lenders lend more responsibly, and organizations prevent identity fraud and crime. Our 17,000 people in 37 countries believe the possibilities for you, and our world, are growing. We’re investing in new technologies, talented people and innovation so we can help create a better tomorrow. Learn more at experianplc.com.